The summer holidays are here, and so is the rain – which can only mean one thing: it’s time for my July favourites. This month’s highlights has been largely dominated by my trip to the Allergy and Free From Show, and the fantastic products I picked up there. 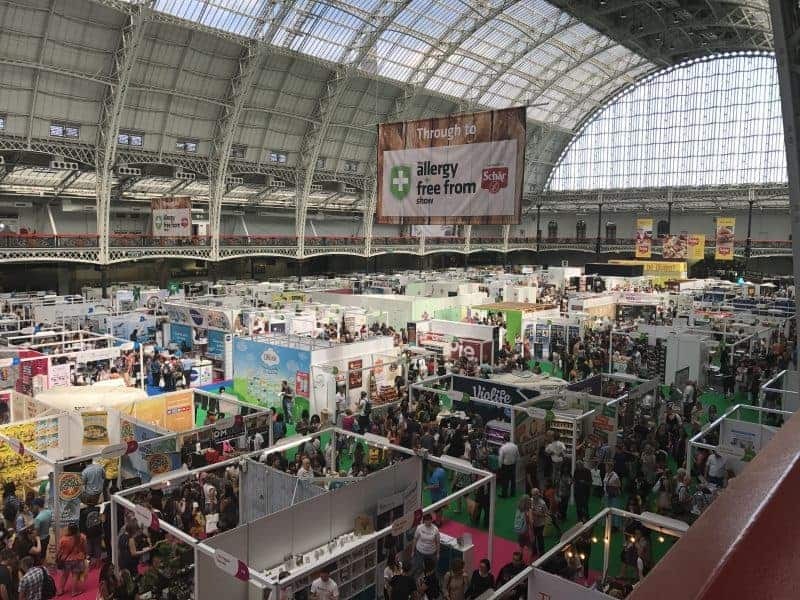 But there have been a few other gluten free foods to add to my monthly favourites – as well as some other exciting events! Here are my highlights from July. 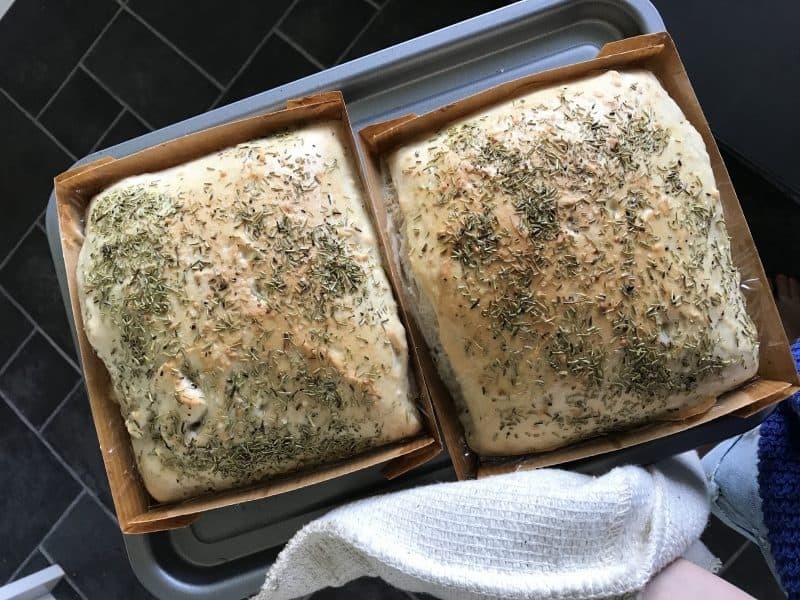 I was gutted that I didn’t get to properly meet the team behind Mannavida gluten free bread kits at the Allergy and Free From Show, but I did manage to grab some of their garlic and rosemary gluten free focaccia mix from the blogger meet up. The gluten free focaccia were so easy to make, smelt incredible and tasted even better. I’m keen to buy some more of their gluten free bread mixes now, as good gluten free bread is very hard to find! I was VERY excited to find that my free from story was featured in the last Free From Heaven magazine. This was also, excitingly, the issue being given out at the Allergy and Free From Show, and you can now read it online here. 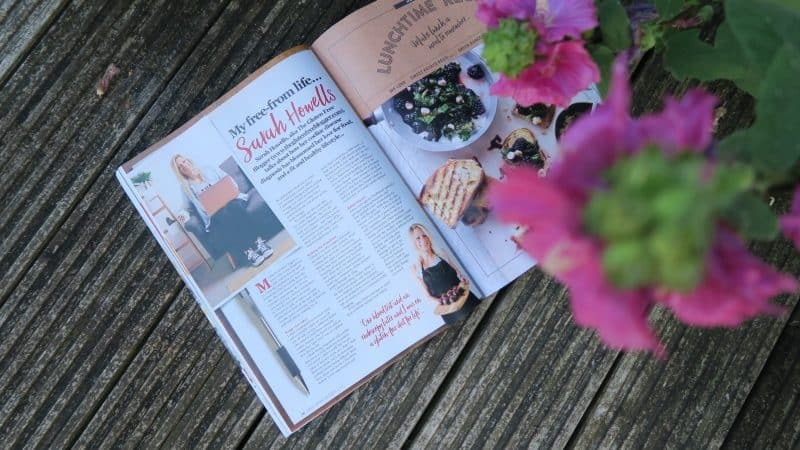 I wrote about my coeliac disease diagnosis, and how it has helped me learn to love food and living healthily. When the sun was shining, Lauren and I managed to squeeze in a trip to Ilfracombe – which is about a 20 minute drive from where we live in North Devon. Home of seaside fun, fish and chips and Damien Hirst’s Verity (think very large, bronze, naked pregnant lady) and, excitingly, gluten free ice-cream cones. I’m working on a full post about all the gluten free spots we found, but this gluten free ice-cream was a definitely highlight. 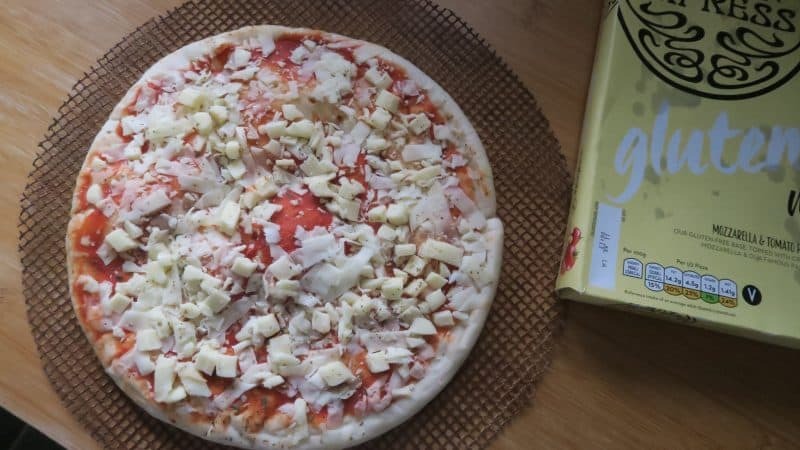 I was gutted when the gluten free Pizza Express pizza was first launched in Sainsbury’s just over a year ago, as despite making numerous requests, they refused to stock it in my local store. So imagine my excitement when I found it in Tesco last week! At £4.50 it was pretty pricey but I did think it was one of the best supermarket-bought pizzas I’ve tried. The base was good and it has a generous amount of toppings; it was just nice to finally try it! While it’s been the month of Christmas in July events, it certainly felt like Christmas in July when I was baking these gluten free ginger spice cookies! This cookie dough from Angels and Cookies is free from gluten, dairy and egg, and is absolutely delicious. 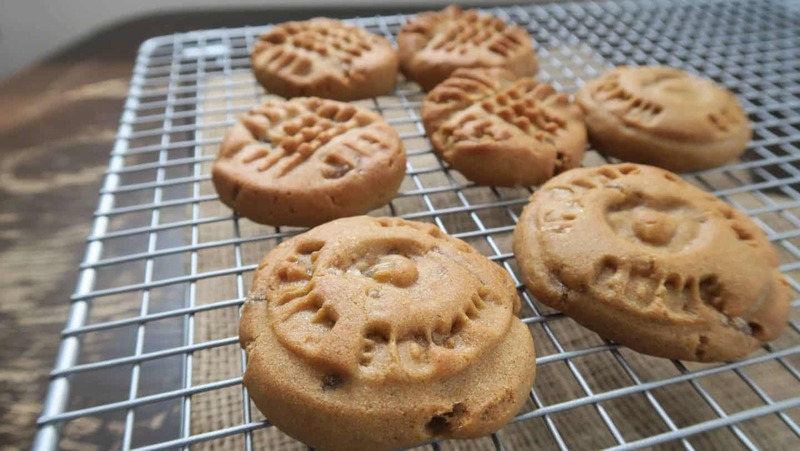 It’s so easy to work with and I added some extra crystallised ginger to the ginger spice gluten free cookie dough I picked up at the Allergy and Free From Show to make these cookies extra zingy. 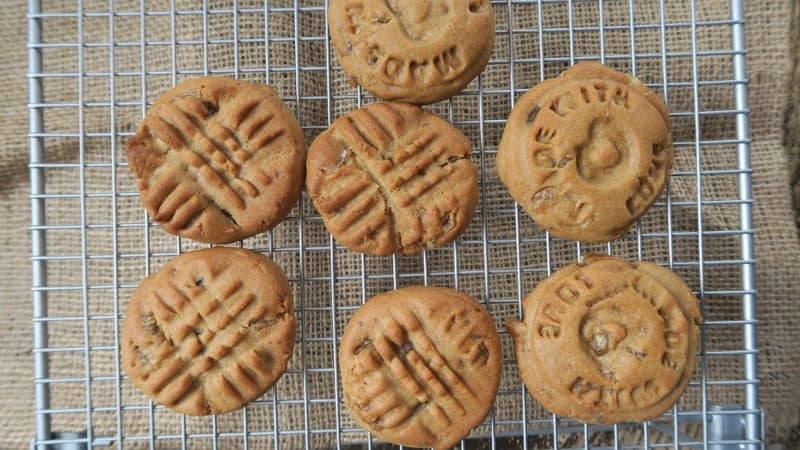 I enjoyed these on a particularly rainy day, and they were perfect with a cup of tea! Muscle Moose sent me a lovely surprise this month – some of their new raspberry and white chocolate flavoured protein dessert! 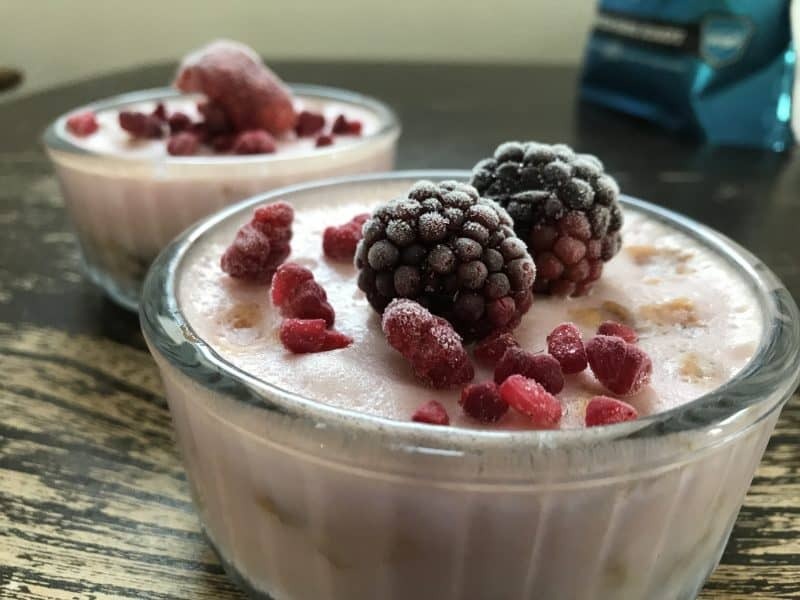 Muscle Moose is a great high-protein, low sugar dessert, and it tastes a bit like Angel Delight! This raspberry and white choc is the best flavour by far – I made mine into little cheesecakes with a crushed gluten free cornflake and peanut butter base. Completing Race For Life with my fam! 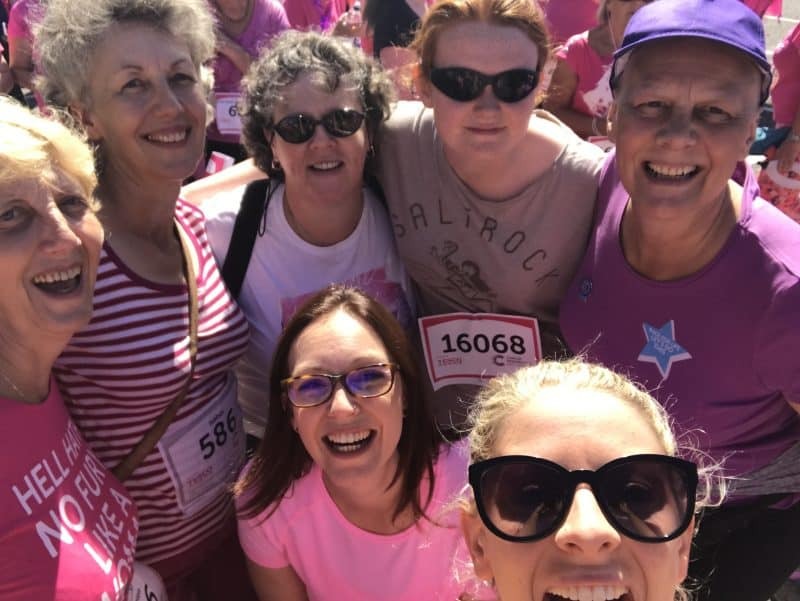 One of the main highlights of July was completing Race For Life with my wonderful family. My aunts and cousin came down to join Mum and I in the 5km Race For Life in Barnstaple. I got possibly the worst sunburn I’ve ever had but it was worth it! It was amazing to spend time with the family and support Mum through her treatment (she has just finished treatment for breast cancer, for those that don’t know) and we raised some decent cash for Cancer Research UK! Oomi protein noodles – from fish! Oomi’s protein noodles are probably the most impressive product I picked up from the Allergy and Free From Show. They are high-protein, gluten free noodles, made from fish! You wouldn’t even know though – they tasted just like I remember ‘real’ noodles to taste! 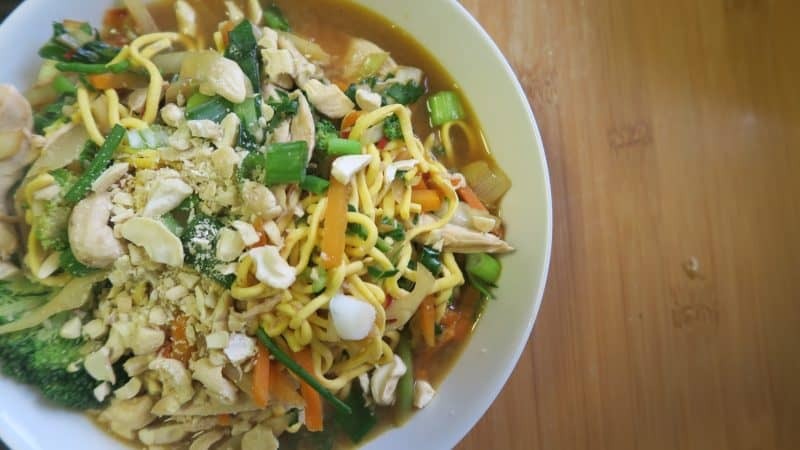 I made mine up into my chicken noodle soup with some crushed cashews on top and they were delicious. I can’t wait to buy some more! There are so many other things I could talk about from this month, it’s been super busy! I created a scrummy barbecue recipe, these king prawn skewers with lime, coriander and mango, as well as (of course) writing up my Allergy and Free From Show haul, my top tips if you’re visiting the next show, and 10 gluten free places to visit in London. I also kicked off my Blogging Tips series with my guide to sponsored posts. Make sure you check them out and leave me comments if there’s anything you’d like to read about. Have you found any tasty gluten free treats this month? What are your gluten free monthly favourites for July? Let me know in the comments or tag me on Facebook or Twitter or Instagram. My goodness Sarah, I don’t know where you find the time! What a jam packed month! Those noodles WERE awesome, I shouldn’t have eaten them as they’re made with lots of stuff I can’t have but they were soooooo good…sadly (but not surprisingly) Beth didn’t like them…she’d be happy eating plain rice all day, every day! So prob won’t buy them again, but still…..delish!